We continue our trip through the Dark Souls 2 bosses with a brand new one today: the Throne Watcher / Throne Defender bosses, one of the most challenging fights in Dark Souls 2 and clearly one of the most dangerous duos in the game. 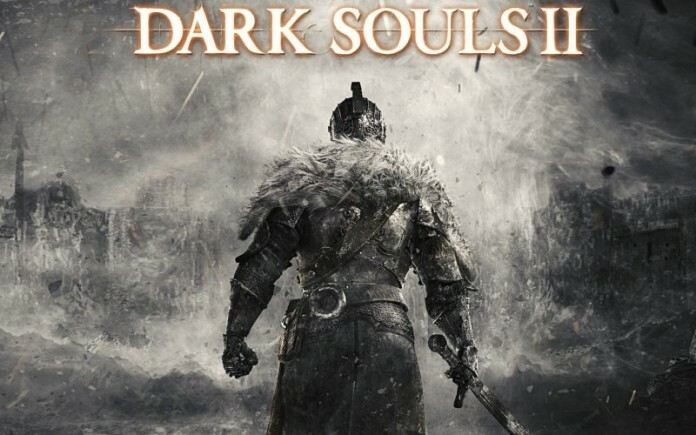 So if you’re having trouble getting past them, this Dark Souls 2 guide on how to beat Throne Watcher and Throne Defender will hopefully help you progress without a problem! The most challenging part of this fight is that you have to kill both bosses pretty soon one after another, otherwise the one that lives will resurrect the other one, with the result being an endless fight that you can’t really win. So here is what to do: bring down both the Throne Watcher and Throne Defender to about one third of life then destroy the Throne Defender first (since he’s more heavily armored) and then quickly go for the remaining boss. In order to make the fight easier, you should summon one AI character to help you with the fight – Benhart of Jugo for example, who deals tremendous amounts of damage with his sword. Also, paying attention not to close to the pits surrounding the battle arena is a good idea, otherwise the fight might end prematurely. Regarding the attack strategy, there’s not much to say: keep the distance at first and let Benhart draw in the heat, then attack from the sides and back making sure that you don’t focus on a single boss from this duo. The Throne Watcher is easier to kill but has a slightly more powerful attack and is more agile so he will be the one to look out for. But if you apply this strategy, you won’t have too much trouble bringing them both down in time and continuing to the final boss in Dark Souls 2.